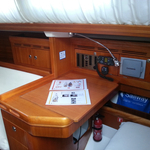 Sailway Tres is a name of boat Elan 31 ,which was produced in 2005. 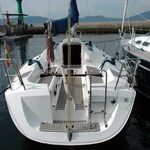 You can rent her from harbor Pontevedera in the region: North Coast Of Spain. 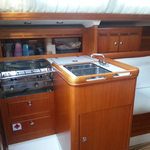 Sailway Tres is furnished with 4 beds. 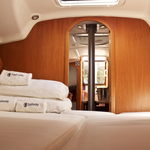 Sleeping places on the yacht are arranged in 4 layout. 2 bedrooms are situated inside the yacht Sailway Tres. 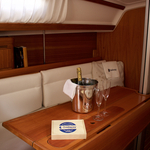 Search for more offers under this link: Yacht charter North Coast Of Spain. 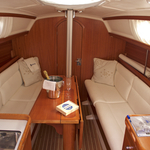 Crew members can feel comfortable on this yacht , because there are 1 WCs for their disposal. With 44.00 l liters in tank for fuel you can sail really far and still be independent because of 140.00 l liters in tank for water. 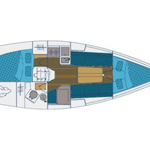 Sailway Tres is supplied with motor Volvo Penta MD 2020 17,68CV. 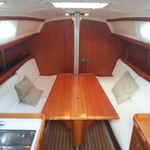 Boat's dimensions are: lenght overall - 9.40 m , beam - 3.20 meters and 1.85 m of draft. On the vessel there is following equipment: Autopilot, Gps plotter, Anchor electric windlass, Mainsail with lazy jack. . Security caution is 1500.00 EUR. 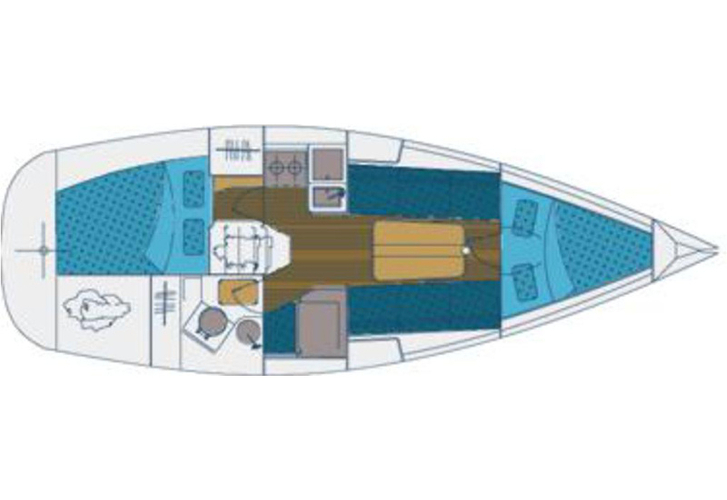 In our search machine you can effortlessly check avalailability of vessel Sailway Tres from Pontevedera by going here: Yacht charter Spain.